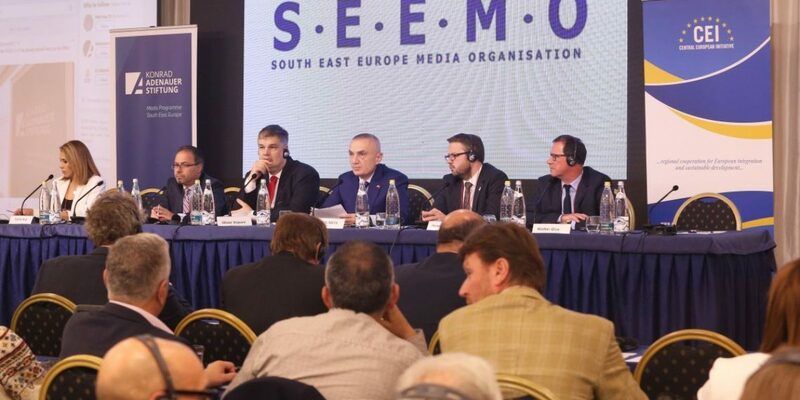 The Central European Initiative (CEI) and the South East Europe Media Organisation (SEEMO) have opened the Call for Applications 2019 of the CEI SEEMO Award for Outstanding Merits in Investigative Journalism. The Award is meant to honor the work carried out by investigative journalists and their contribution to investigative reporting despite the difficult conditions under which they often have to operate. The Call is open to nationals of the 17 CEI Member States: Albania, Belarus, Bosnia and Herzegovina, Bulgaria, Croatia, the Czech Republic, Hungary, Italy, Moldova, Montenegro, North Macedonia, Poland, Romania, Serbia, Slovakia, Slovenia and Ukraine. Category 1: Candidates who have been actively involved in investigative reporting over the last two years and are still active in journalism. Two samples of journalistic work will be relevant for the evaluation from the jury. Category 2: Candidates who have been actively involved in investigative reporting, even in the context of training activities organized by schools/universities/NGOs and, as a result, should have published at least one investigative story meeting all professional standards. One sample of journalistic work will be relevant for the evaluation from the jury. Print, Radio, TV, news agencies and Internet media are admitted. Candidates who have been actively engaged in reporting on environmental issues are particularly invited to apply. Candidates shall fill in the Online Application Form.